Are you looking for Things to Do in St. Petersburg with your family? 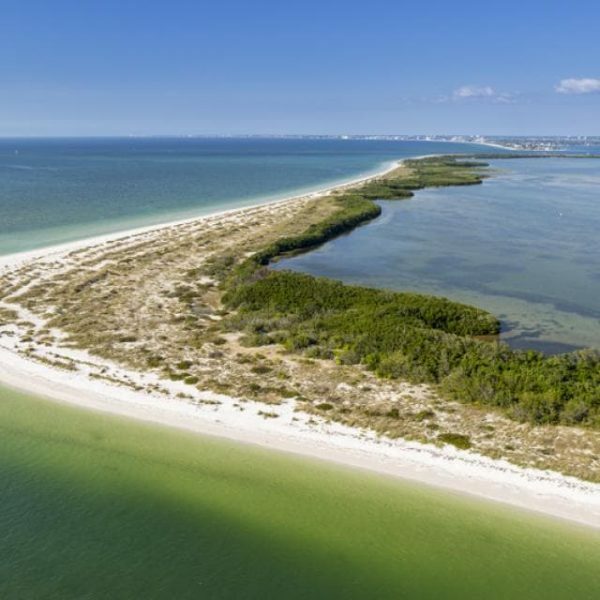 St. Petersburg offers the perfect place for the family to enjoy the pristine beaches that the Gulf Coast of Florida is famous for! Not only that, the St. Petersburg area offers a variety of adventures the whole family can get excited about, including nature and wildlife adventures, zoos, festivals and museums, unique dining experiences, beachfront hotels, and so much more! This is your one-stop resource page for family-friendly destinations in and around St. Petersburg, Florida. 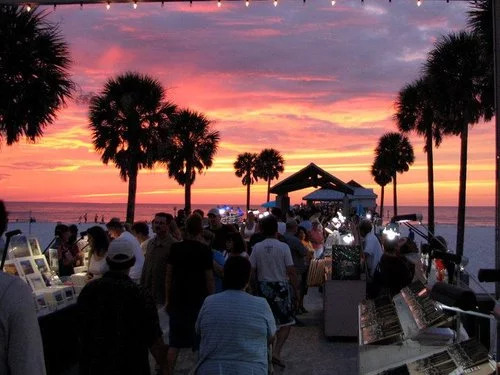 From beautiful beaches to sunset festivals and art museums, there are lots of fun things to do in St. Petersburg with your family without breaking the bank. 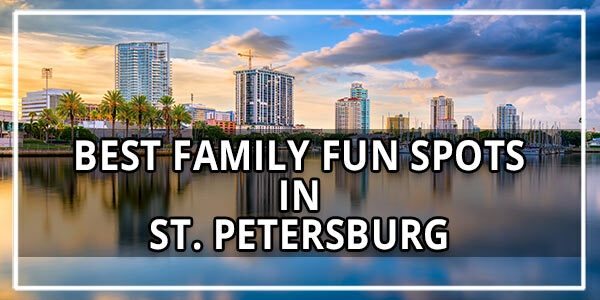 Here’s your guide to family fun in St. Petersburg on the cheap! Special Offer: Buy One/Get One Free To take part in this special offer, just mention you saw them on Pigzilla! Sunsets on the Gulf Coast are spectacular, and every sunset at Pier 60 provides a new opportunity to celebrate! Take the kids two hours before sunset for a fun-filled festival the whole family will love. There will be live music, entertainment, and street performers to fascinate the kids. The various arts and crafts displays provide a great opportunity to find some unique souvenirs to take home. For even more excitement, Sunset Cinema is an outdoor movie theater that shows a nightly movie under the stars. The festival runs 364 days a year and admission to this nightly festival and the Sunset Cinema is free. Boyd Hill Nature Preserve is home to miles of nature trails where the kids can burn off some of their excess energy. 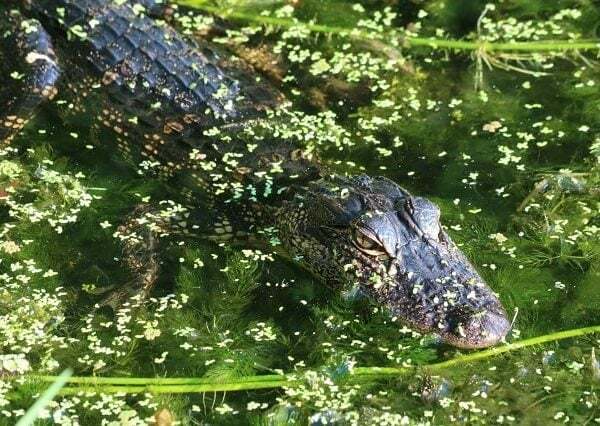 Don’t worry, when you get worn out you can hop on the tram for a tour through the native wildlife habitats and exhibits, such as a willow marsh, swamp woodlands, and even a pioneer settlement with a living history museum. Imagine the look on your kids’ faces when they visit the aviary where they can get an up-close look at some cool birds of prey including hawks, owls, and even an eagle! Admission will be less than $15 for a family of four. Take the kids on a walk through the history of St. Petersburg at Heritage Village. This 21-acre living history museum includes more than 28 structures dating all the way back to the mid-19th century. 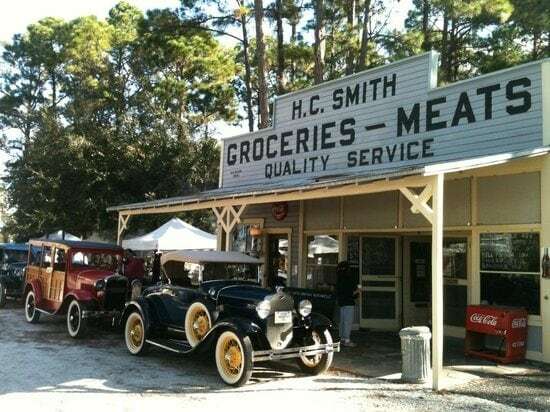 Attractions include a variety of historic homes, a railroad depot, and a general store. The kids will never forget having the opportunity to watch and even participate in, hands-on demonstrations in pioneer cooking, blacksmithing, and traditional fiber arts. Admission to the Village is free. At Spongeorama, you and the kids will be awed by the world’s largest collection of natural sea sponges. Plan to spend a couple of hours walking among the docked sponge boats and shops selling sea sponges. 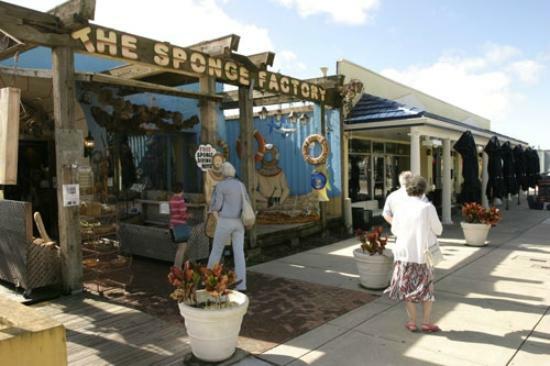 The kids can learn about the history of sponging at Spongeorama’s world-famous museum and watch a movie that will teach them what a sea sponge is and where they come from. Admission to the museum and movie is free. 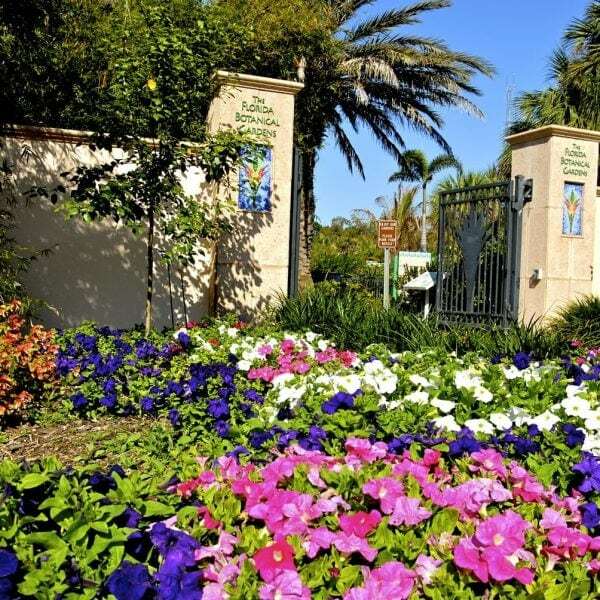 Spend a day with the family at the Florida Botanical Gardens walking the nature trails and boardwalks. The whole family will enjoy seeing the local wildlife and flora. 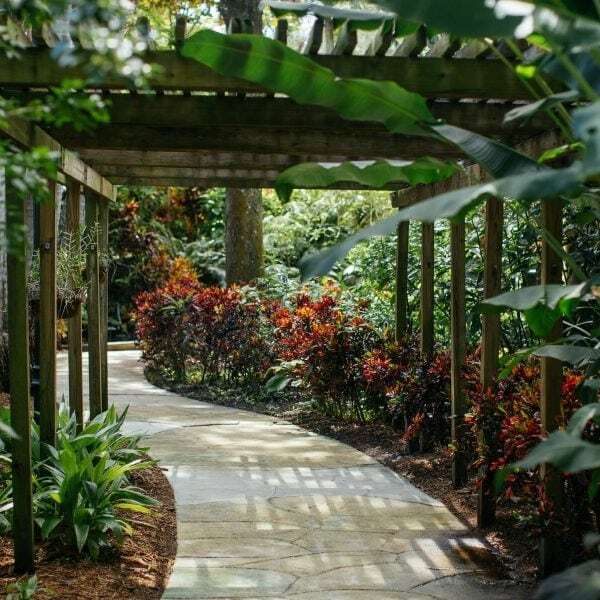 The Children’s Trail at the Florida Botanical Gardens is a delightful place to make vacation memories with the kids! They will be guided along the trail by the Garden’s mascot, Flora. The trail will take them through the Butterfly Garden and then over the boardwalk to the Tree Station where they can look for wildlife at the pond through binoculars. After that, they will learn about native fruits from Flora in the Fruit Garden. There’s even outdoor musical instruments, child-sized log chairs and tables, and an interactive butterfly puzzle along the way! There’s even a gift shop full of fun and educational souvenirs. There is no charge for admission to the Gardens. Are you ready for some sandy fun in the sun? Fort De Soto Park is the perfect place to get away from the crowds and enjoy the natural beauty Florida is famous for. Every member of the family will love the award-winning beaches here. This park is spread out over five islands and offers much more than beautiful beaches, too. Be sure to go bird watching on the great birding trail and visit the Fort itself for a look at some local history! If your family wants a real outdoor adventure, there are 238 campsites, two fishing piers (with bait concessions), and kayak rentals available within the park. Food concessions, restrooms, and showers are available throughout the park, as well. All day parking at the park costs about $5, and there are picnic areas available if you want to bring in your lunch. 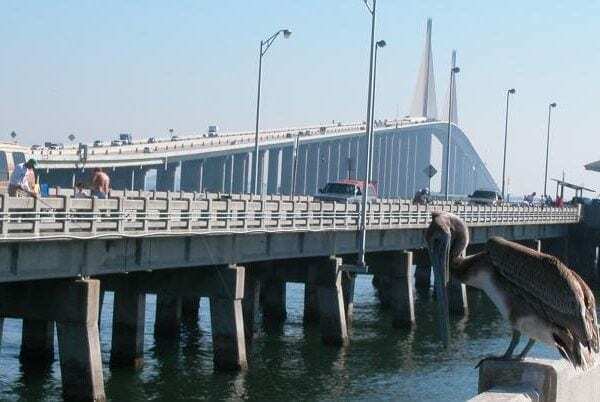 The old Skyway bridge has been turned into the longest fishing pier in the world, and it’s a great place to see incredible views of Tampa Bay. Take the kids here for a couple of hours of amazing fishing and be sure to stick around for sunset. Early risers love to catch the sunrise from the pier, and it’s a great place to take your morning walk or run before the kids get up. For the sake of convenience, food and bait concessions and fishing supplies are available onsite. Saturday Morning Market is the best place to be on Saturday morning! This huge market with about 170 vendors is held every Saturday from 9 am to 2 pm in downtown St. Pete. Stop in here for delicious Florida produce, and unique Florida themed gifts and souvenirs. Plan to have breakfast or lunch at the market because there are usually 15 or more types of cuisine to choose from. The kids will enjoy the live music that’s always played at the center of the market, and there will be performers like magicians, living statues, and balloon artists wandering throughout the market. The Market runs from October-May every year in the Al Lang Field parking lot. 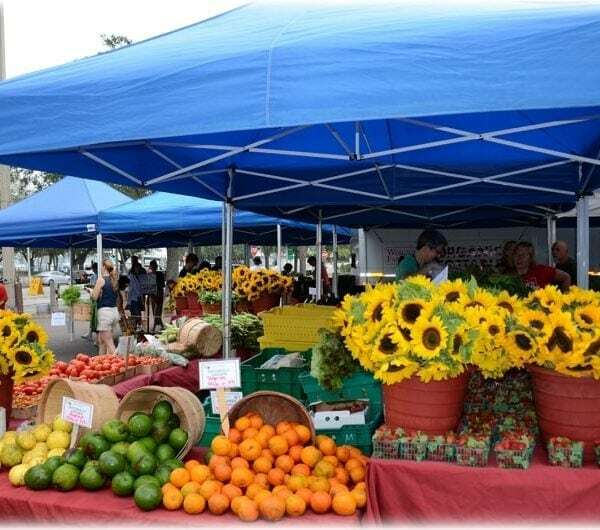 There is a smaller market that runs in the summer from June to August at Williams Park. It will cost $5 or less for parking. Weedon Island Preserve spans an amazing 3,190 acres of aquatic and upland ecosystems. Walk on the boardwalks and trails to see the tidal flats and mangrove forests. This is an amazing place for birdwatching and seeing native wildlife and plants. In the heart of the Preserve, you’ll find the Cultural and Natural History Center with 6,000 square feet of interactive exhibits that will get the kids interested in connecting with the environment. The center houses a gift shop on the main floor with Florida themed gifts and souvenirs. For more outdoor adventures, take a kayak trip through the mangroves or go fishing from the fishing pier. There are four picnic areas available if you want to bring in your lunch. Admission to the Preserve is free. More Fun Adventures the Whole Family Can Get Excited About! The St. Petersburg area offers so many fun-filled family adventures, none of you will want to go home! Take a pirate cruise, get up close and personal with some exotic animals, or hit the rides at Busch Gardens. St. Pete truly has it all! Would your kids like to meet a couple of movie stars? 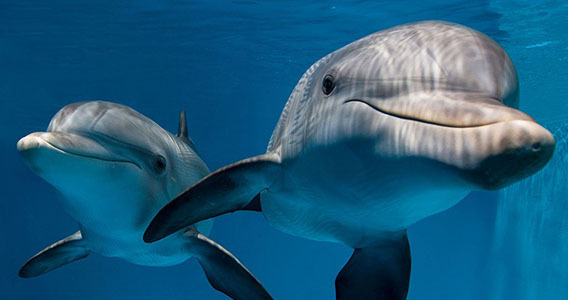 The Clearwater Aquarium is home to Hope and Winter, the dolphins who starred in the hit movie “Dolphin Tale!” There’s a lot more to see here, too. Visit the Otter Oasis to get up close to some very amusing North American River Otters, or, take a walk through an underwater viewing tunnel at Shipwreck Alley. Make sure you don’t miss the nurse sharks, Thelma and Louise and be sure to say “hello” to Cocoa, the sea turtle! This is the perfect place to go when you all need a break from the sun and heat! This kid-friendly museum gives kids the chance to discover their inner architect with a variety of fun building materials, learn about how vegetables are grown, or see themselves on live TV. The Explorations Theater at the Museum features live music and dance shows, too! What kid doesn’t want to be a pirate? 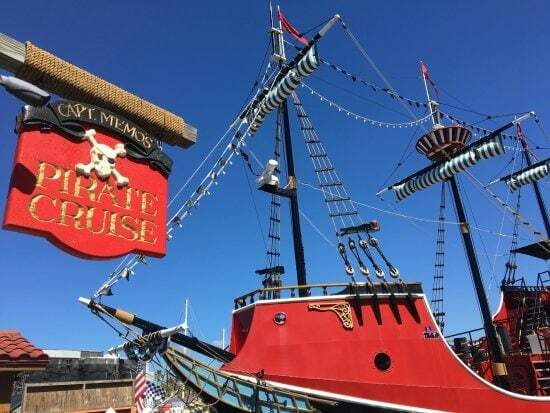 Captain Memo’s Pirate Cruise, favorite family activity in the area so advanced reservations, are a good idea. Relax, soak up the sun, and enjoy scenic views of the coastline while the kid’s search the water for pods of dolphins and participate in a treasure hunt, water games, and have their faces painted! To make the fun complete, they can join the crew for a dance party and stories of pirates from long ago. 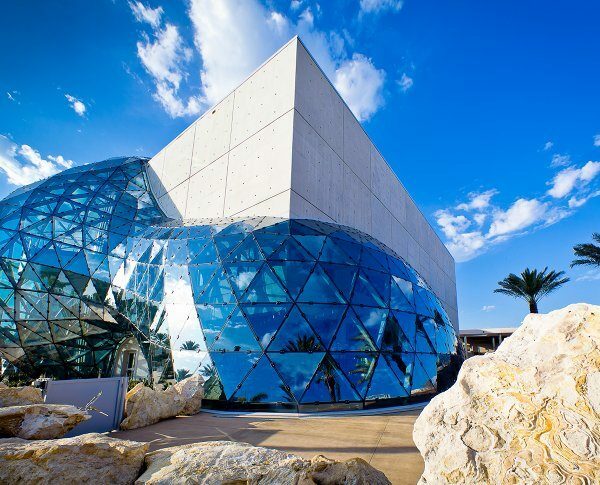 The Salvador Dali is a one of a kind museum featuring not only amazing works of art but also breathtaking gardens and coastal views of Florida’s natural beauty. The whole family will be inspired by impressive masterpieces that include oils, watercolors, sketches, and sculptures. For the kids, there’s a kid-friendly gallery full of unique works of art. Make sure the kids participate in the self-guided scavenger hunt as you go through the museum! 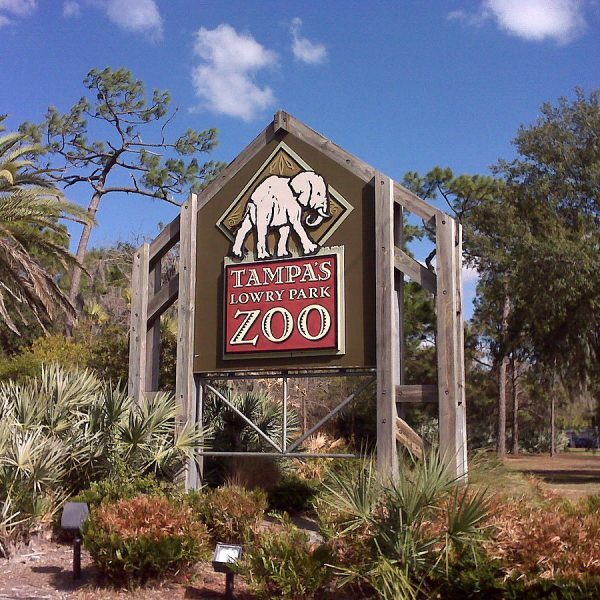 Just 30 minutes outside of St. Pete is the 60-acre Lowry Park Zoo. This is a family-friendly attraction that gives the kids an up-close look at animals from all over the world, including tigers, monkeys, elephants, koalas, orangutans, and rhinos. The kids will never forget the stingray touch tank or feeding treats to the giraffes. Other fun features include engaging shows, feeding the goats, and a jungle safari ride through the animal habitats. No trip to the Tampa/St. Petersburg area would be complete without at least one day at Busch Gardens Tampa Bay! Busch Gardens is so much more than just an amusement park. This park is home to more than 300 species of endangered and exotic animals, and it’s one of the largest zoos in all of North America. Get up close and personal with everything from penguins to sloths and zebras to rhinos! The little ones will be delighted to find tons of rides just for them, along with water playgrounds where they can get wet and cool off. 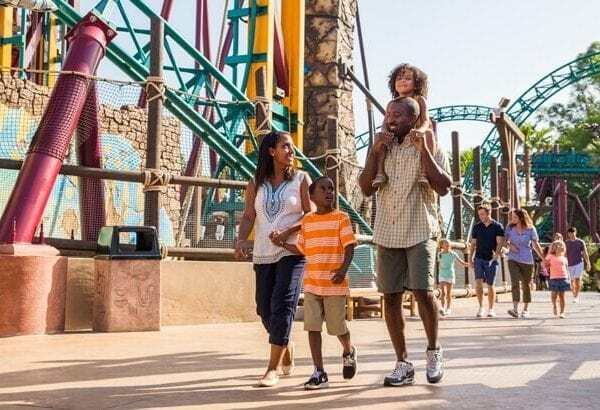 The thrill seekers in the family will find plenty of roller coasters, thrill rides, and water slides to satisfy their sense of adventure, and the many animal shows and performances will be enjoyed by every family member. And if that wasn’t enough, the park is full of unique dining opportunities and amazing shopping experiences to round out the fun! Located in the middle of the bustling city of St. Petersburg is a botanical oasis that offers the perfect place to unwind. This 100-year-old garden features more than 50,000 tropical plants, and some of them are the most ancient tropical plants on the Gulf Coast. There are lots of exotic birds and other critters to see, too. Spend a couple of hours wandering the paths of this living museum and explore cascading waterfalls and the beautiful demonstration gardens. The gardens are a popular destination for tour groups and field trips, so we recommend calling ahead to see if any large groups are expected on the day you want to visit. It can be hard to find the best places to eat when you’re on vacation, especially when you’ve got kids in your group! We’ve done some research and found the best places to eat with the kids in the St. Pete area. This relaxed little eatery is a family favorite for locals and out-of-towners alike! Sit outside to enjoy the beautiful Gulf Coast weather! The burgers here are something special, and the kids will chow down on the boneless chicken fingers or chicken and waffles while Mom and Dad enjoy the BBQ Sliders. 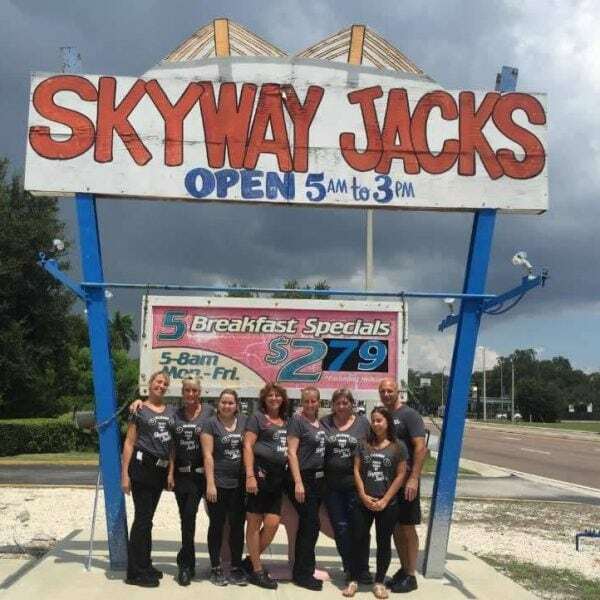 For a taste of old Florida, have breakfast or lunch with the kids at Skyway Jack’s. This little diner is full of authentic old Florida charm, and the extensive menu offers lots of traditional favorites like biscuits and gravy, pancakes, and omelets for breakfast or breaded pork chops, grilled cheese and salads at lunchtime. The prices here are very affordable, too. Make sure you try the corn muffins! Everybody loves a good bagel, fresh doughnut, breakfast sandwich, or pastry for breakfast! 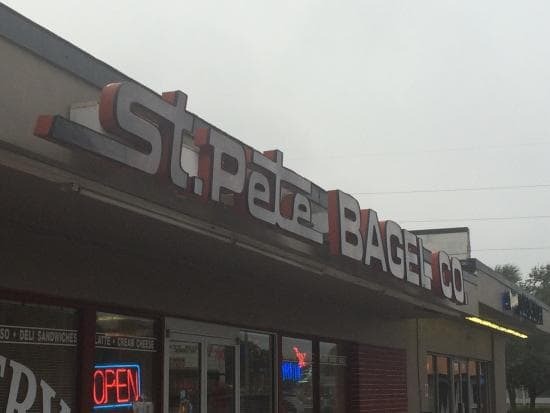 The St. Pete Bagel Co. is the perfect place to grab breakfast and coffee or lunch to go on your way to the beach! Lunch offerings include family favorites like BLT’s and tuna and eggs salad sandwiches. Even better, you can get your sandwich on a freshly baked bagel, croissant, or your choice of bread. The whole family will love Mazzaro’s fresh gelato! With Italian favorites like pizza, cheeses, meats, seafood, and handmade pasta, there’s something for everyone. The coffee and bakery items are always good here, too! Have breakfast or lunch on the patio or take it with you to the hotel pool or out on the beach. 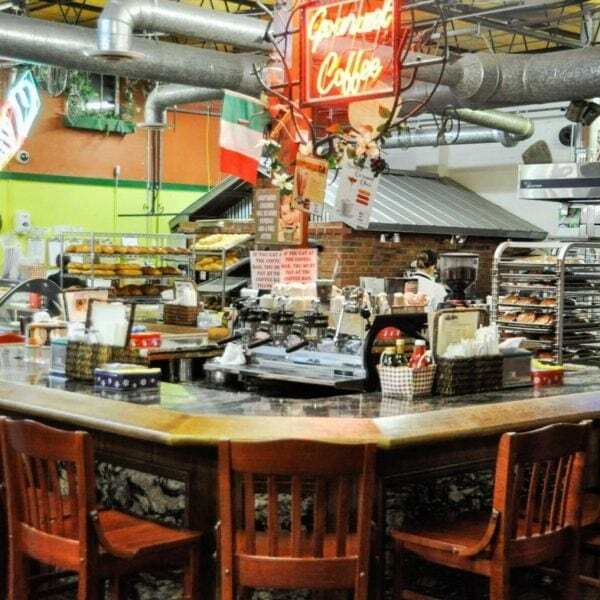 Mazzaro’s is a must see at least once during your visit! 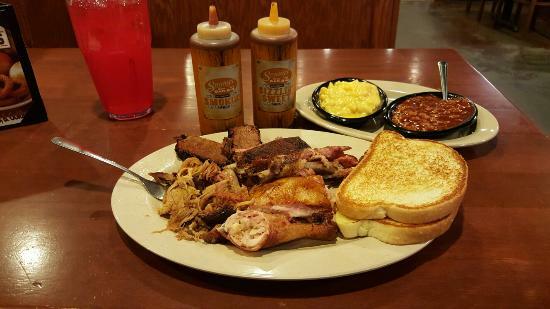 Who’s craving barbecue? 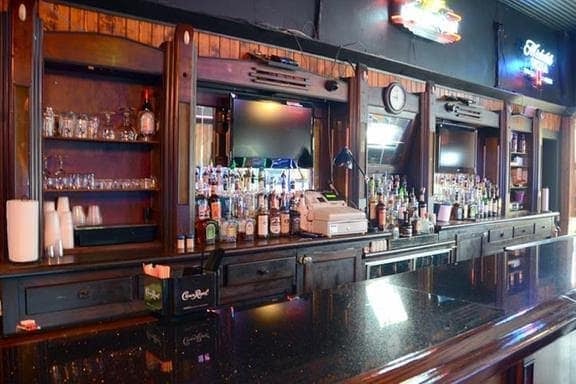 Sonny’s is sure to please with barbeque favorites like ribs, brisket, and pulled pork. Consider ordering the Family Feast for a choice of pulled pork, beef brisket, BBQ chicken or ribs with all the fixings including baked beans, coleslaw and corn muffins. For a lighter option, the salad bar here is great, and there are some awesome burger options on the menu, too. 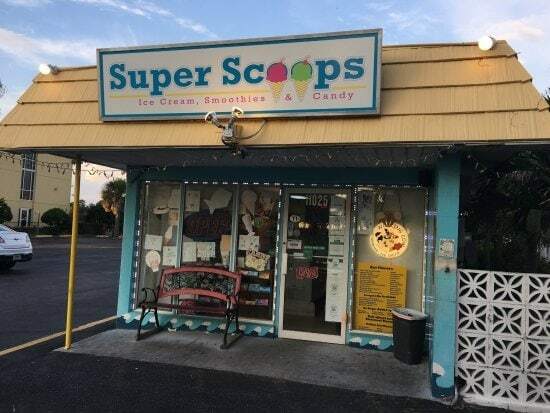 For the best ice cream place near the beach that won’t break the bank, you want Super Scoops! This Mom and Pop ice cream shop offers scrumptious homemade ice cream, milkshakes, and shaved ice. They also have a candy section that will take your kids’ breath away! And, the staff will treat you like you’re their favorite customer, even if it’s your first time there! You’ve got to have at least one sit down seafood dinner when you’re vacationing on the Gulf Coast! Snappers is the place to go on St. Pete Beach. Their menu features exceptional seafood dishes and in-house aged steaks. Delectable desserts are just one of their specialties! 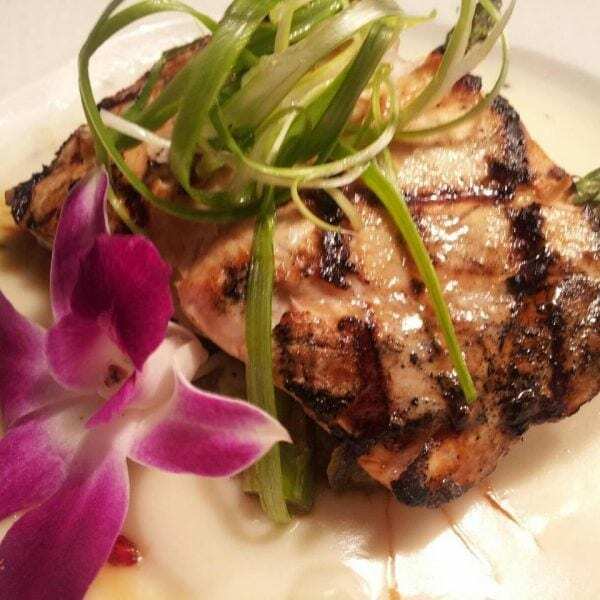 Some of their mouthwatering entrées include Stuffed Gulf Grouper, Lump Back Fin Crab Cakes, and Filet of Beef Tenderloin. Sit outside with kids and enjoy the free baked pita chips and hummus. There’s a full kids’ menu, too! 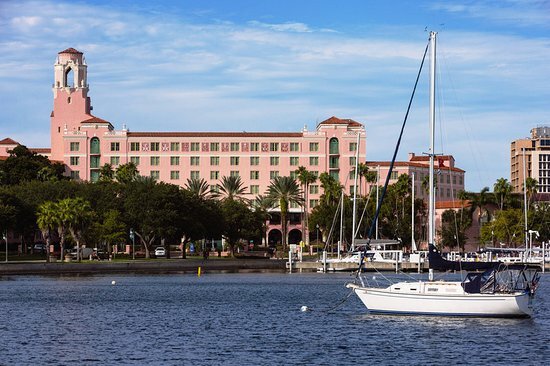 Whether you’re looking for a big resort with lots of activities, a quiet beachfront hotel, or a centrally located hotel in downtown, St. Petersburg offers a variety of family-friendly places to stay. 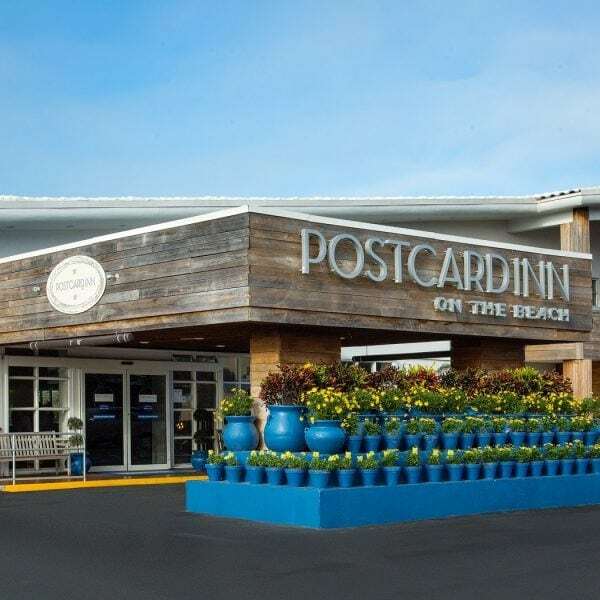 The Postcard Inn is a St. Pete Beach Gulf front resort with an Olympic sized swimming pool and a kiddie pool for the little ones. The guest rooms are spacious and decorated in traditional Florida style. For families, renting a poolside cabana is a great option. Enjoy your day on the beach and take a break at the beach bar for refreshments and snacks. The onsite Boathouse Kitchen & Bar continues with the Florida theme, and it’s the perfect place for everything from your morning cup of coffee to seafood and barbecue for dinner. The Vinoy is located right in the heart of St. Petersburg, and it’s perfect for a relaxing family vacation. The hotel is listed among the Historic Hotels of America, and it offers a glance into Florida’s glamorous past. There are a pretty roof deck and pool for soaking up the sun and bicycles for exploring the town. The hotel is in the perfect location for walking to the restaurants, shops, and museums of downtown St. Pete. Even better, there are several great dining options onsite. If you’re there in the summertime, the kids will love the summer camp the hotel offers each summer. 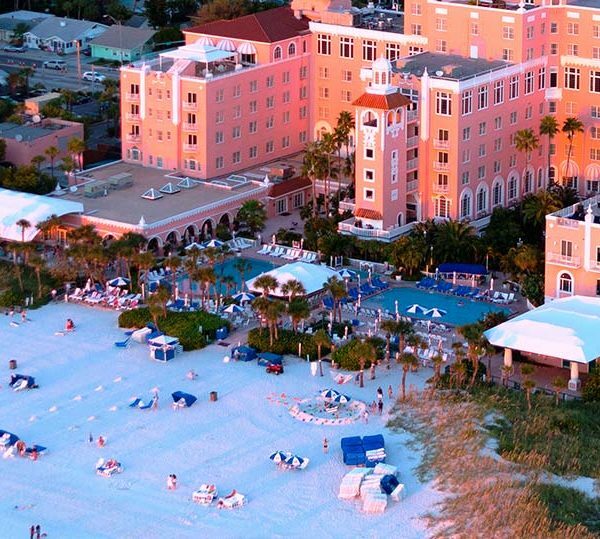 The Don CeSar has attracted famous folks like Al Capone and Franklin D. Roosevelt, and it’s easy to see why! The hotel features two pools, and there’s an old-fashioned ice cream parlor right onsite. 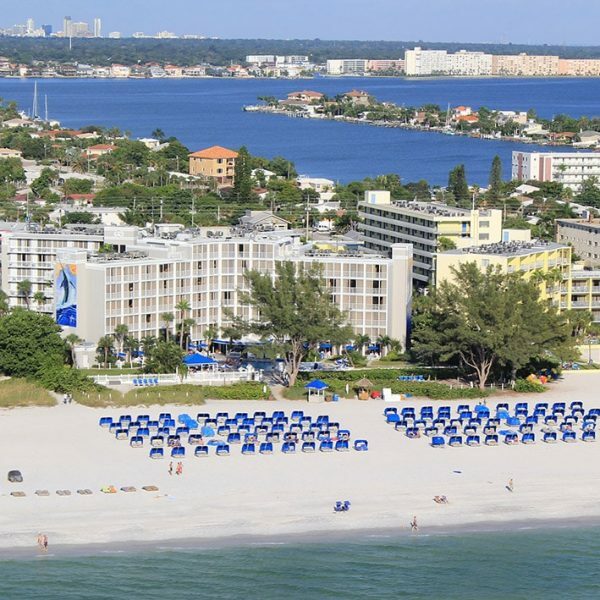 Did we mention this is an oceanfront hotel located right on the beach? Parents can enjoy a stroll on the beach while the kids are entertained at the hotel’s Camp CeSar. There’s also a gym, game room, and three restaurants right at the resort. Rooms with full kitchenettes are also available. Guy Harvey Outpost is a resort full of family activities and amenities located on an award-winning white sand beach. Take the kids to the Rum Fish Grill that’s famous for a 33,500-gallon aquarium that was featured on Animal Planet’s show, Tanked. Unwind at one of the resorts indoor/outdoor bars and enjoy the whirlpool and swimming pools. 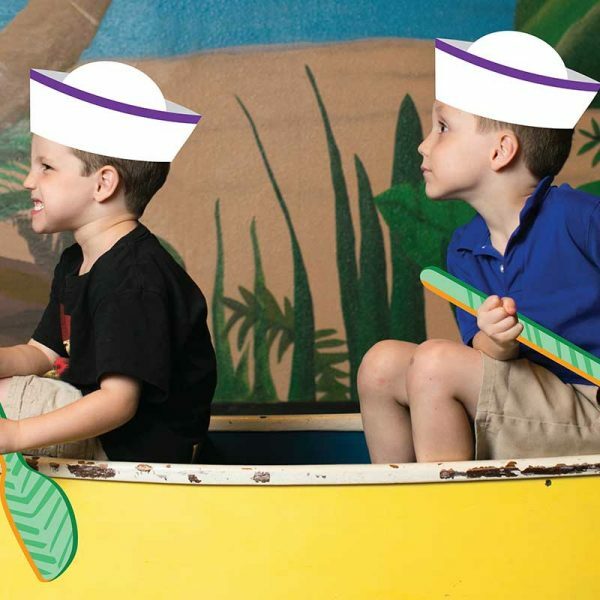 The kids will have a blast at the resort’s Konk Club with ocean-themed activities like offshore fishing, marine life explorations, and arts and crafts. Rooms with kitchenettes and two room suites are available. 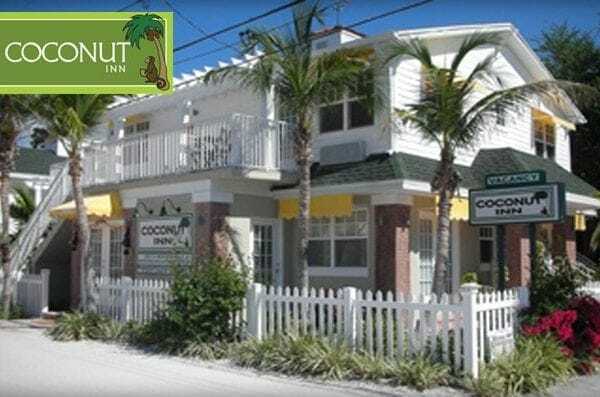 The Coconut Inn is steps away from the beach and a convenient walking distance to several restaurants. This hotel offers peace and quiet where you and your family can enjoy the Gulf coast sunsets, morning coffee on the beach, and a beach town atmosphere. The hotel has a beautiful pool for when you’ve had enough of the sand and saltwater, and there’s a fantastic outdoor grilling space and kitchen that’s free for guests to use. Guests receive complimentary beach chairs and bicycles. The rooms are spacious, bright, clean, and comfortable. They have fully equipped kitchenettes with full-size refrigerators and sit down dining areas. This secluded hotel is truly like your home away from home and offers a welcome change from the craziness of the large resorts nearby! St. Petersburg is the perfect place for your next family vacation! There are so many things to do in St. Petersburg; everyone will wish you had just one more day!